We roll out of the campground toward Long Key with the windows open. Bleached shells and limestone gravel crunch under the Westfalia’s tires. Birds make their vibrant predawn racket, a symphony in stark contrast to my brain’s lethargy, stymied as it is from last night’s festivities. At least I remembered to set an alarm clock. 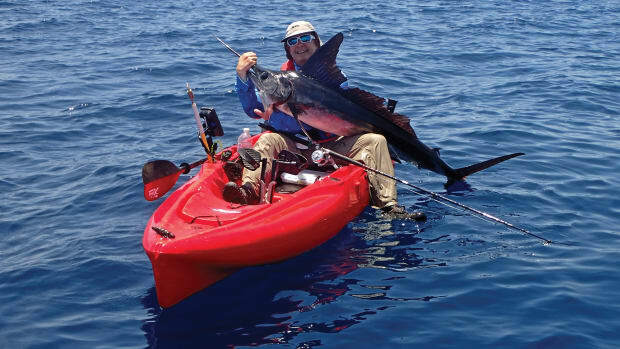 My good friend Toby interrupted his slumber, too, and left the rest of our spring-breaking comrades to their own convolutions so he could chauffer me up the Florida Keys to meet a flats guide. In the pocket of my khaki shorts, I clutch payment for the charter, a post-deposit $250 that I hid, lest it end up in the rum fund, but other than that I’m ill-prepared. I’ve caught a few trout on streamers in northern Michigan, but I’ve yet to cast a fly, let alone an 8-weight, in salt water. Aloof, squirrely, dishonest — call them what you want, but permit are difficult to bring to hand. Like a narcotic, a salt breeze washes over the cab as we swing onto the highway. The windshield fills with the palest of first lights — the belly of a flats-going fish I’ve yet to lay eyes on. Toby punches a tape into the deck and shifts the bus into third, fourth, then fifth. “Good call on the fishing,” is all he says. Buffeted, the bus kites a little in the wind. I turn the music louder, a Lou Donaldson jazz joint, and after a moment we’re dipping our heads to the groove, singing the sun up. As Toby downshifts and the bus lurches down the rungs of gears, I look over my shoulder to see our friend Alex, his wide-eyed head hanging over the bus’ top bunk, to which he clings, white-knuckled. Sometime in the middle of the night, with everyone else asleep, he must have cranked open the canvas camper tent and passed out up there, then woke to a view of the ocean, hundreds of feet beneath the blacktop, blurring past the vented window slats. José Ucan reads a permit’s body language and knows which way the fish is headed before it moves. 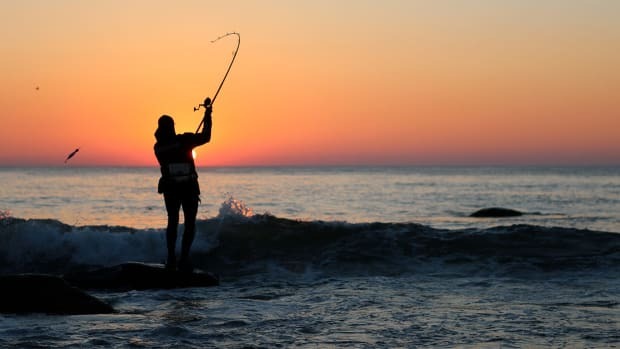 I can’t think of permit fishing without recalling these hijinks from my senior year of high school, as they seem to encapsulate said pursuit: a quiet pause followed by a dose of molten energy, some blatant inanity coupled with good fortune, all combining to compose a semipredictable yet irresistible ridiculousness. 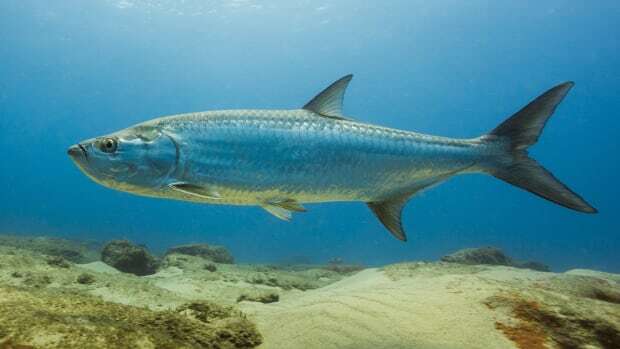 Strange laws of sea, physics and fate govern permit fishing. Naturally, under this jurisdiction, it follows that — after botching my first several shots at bonefish; after my guide, Mike, motored us off the flat and said we weren’t going inshore until I could throw 50 feet of line; after I flubbed another few bonefish chances; after Mike gasped in exasperation and said with futility, “Believe it or not, there’s a permit coming dead ahead at 60 feet”; after I made a more than acceptable 50-foot presentation — I would hook a Florida Keys permit on my first cast a few weeks after my 18th birthday. Meko Glinton’s recipe is fewer false casts and a strong backhand cast. By these same mysterious codes, it makes sense that on several subsequent trips to the Keys, despite my tenfold improvement in sighting and casting, I would fail to hook another. Eventually, I succumbed (as many do) to the predictable addiction of bonefish in the Bahamas. 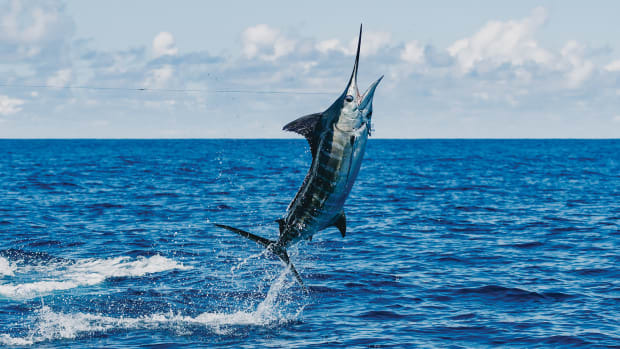 To a metaphysically inclined angler such as myself, the perceived chaos of human existence is momentarily abated when — following a lengthy stalk, astute fly selection and reasonable delivery — the fly line comes tight with a fish. At last, one thinks while listening to his line sheer through the fish-waked shallows, all is right in the world again. 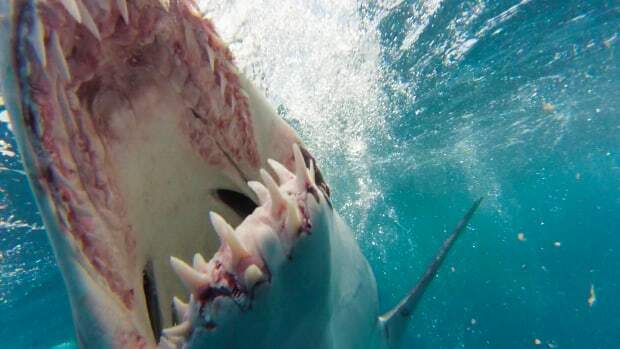 Though I loathe the phrase, the fish has done what it was supposed to do, and the angler’s blood is appropriately adrenalized. Rarely predictable, the permit is an altogether different drug, a hallucinogen, perhaps, that shoots a chemical far more feral through the bloodstream. When I glimpsed the ink-edged tail of my first Bahamian permit scything over the flat, I had to remove my hat to see if my hair had been set on fire. 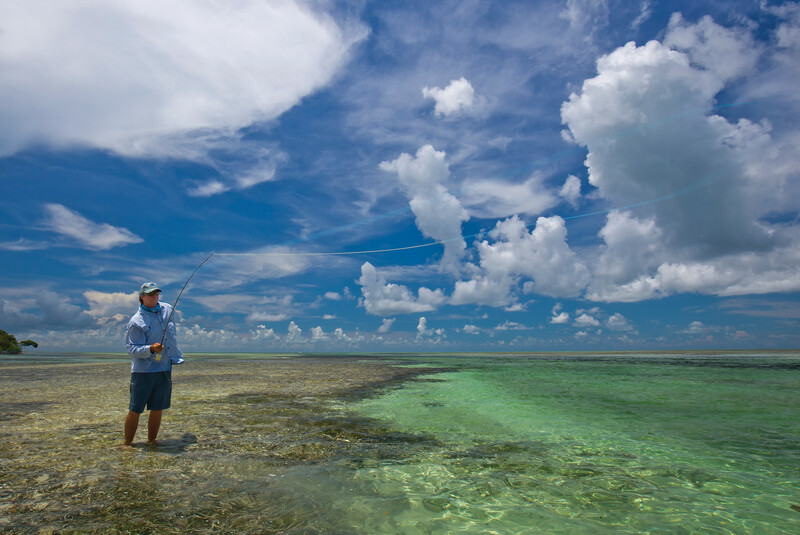 Years would pass and scores of bonefish would come to hand before I would get, under the measured guidance of the great David Pinder Jr., another shot in the archipelago. 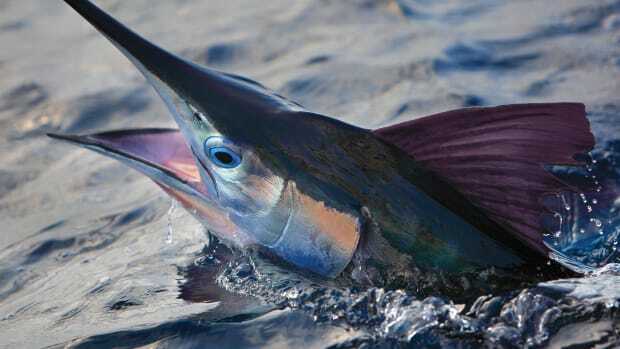 I’d caught several bonefish that day — including a 12-pounder, my personal best — with an easygoing David atop the platform, but when a large permit appeared in the blue door of the flat, down light, bright and round as a portal, David went batty. 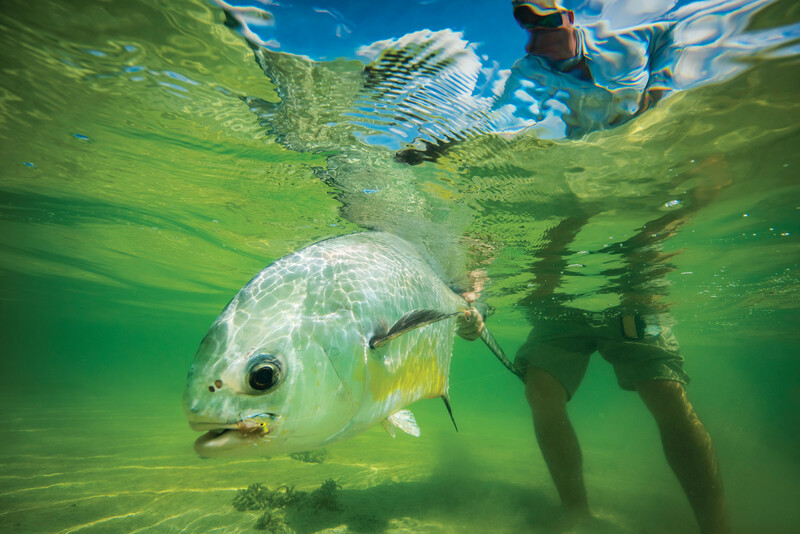 Guide Justin Rea has mastered the nuances of catching permit on the fly. 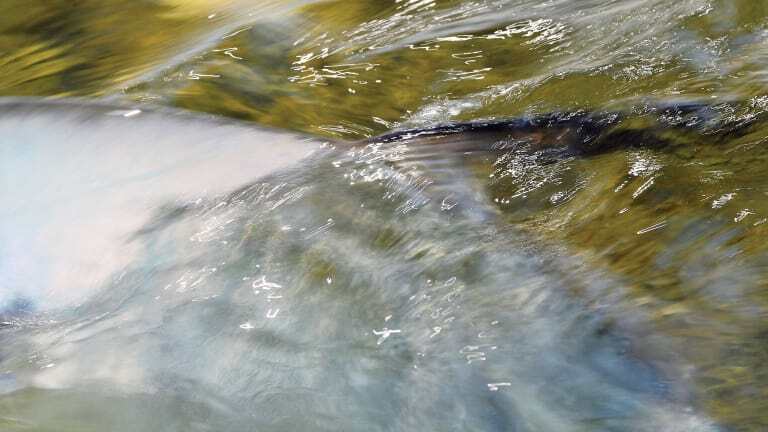 In response to his rapid-fire instructions, I false-casted once and shot out an offering, then watched the yellow, almost gilded, back of the oblong fish descend toward my sinking fly. Stripping the fly on command, I registered a small dose of surprise at having made such an adequate presentation under the circumstances. David gave what I took to be a grunt of acceptance. It appeared that my first Bahamian permit was, as the saying goes, in the garlic. A permit, I thought, on top of a double-digit bone. Immediately, I wished I could retract the thought, and then, in a mirrored flash at the verge of sight, the permit was gone. And David was giving the fish a tongue-lashing foul enough to redden a sailor’s ears. “Ready for the rubber room” is how the inimitable Thomas McGuane once described his psychological state after losing a big permit, and after far more failures with the most coveted member of the jack family than successes, the phrase doesn’t strike me as the least bit melodramatic. What is the peak of permit-induced delamination? I’ve watched befuddled anglers toss $900 fly rods overboard or threaten, with a raised sandal, to smash 10th-generation graphite underfoot. 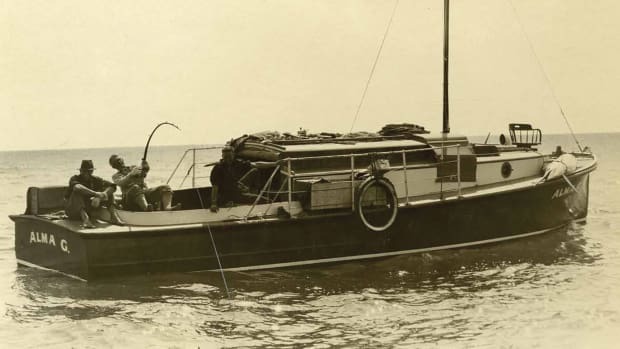 I knew better than to ask whether he thought a permit truly could interpret an approaching angler’s desires, and I stepped onto the bow casually, attempting to match the fish’s level of detachment. 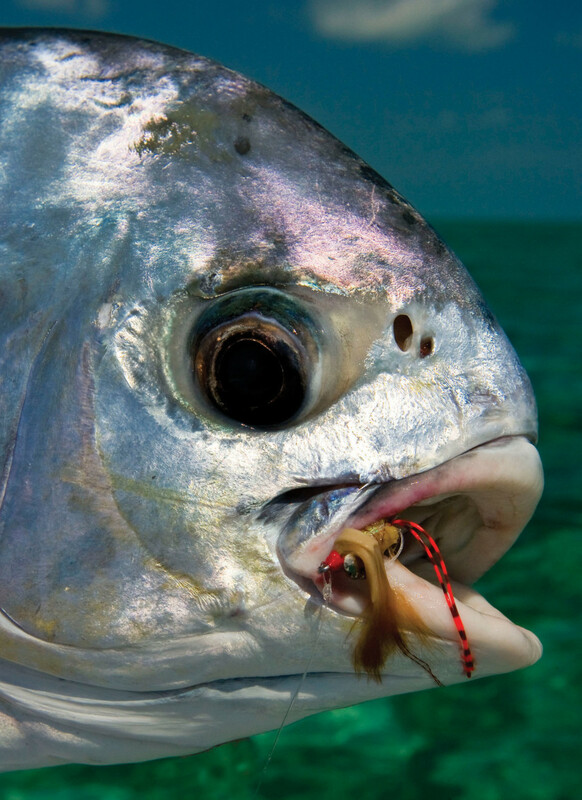 The elusive permit takes anglers on an intoxicating pursuit. 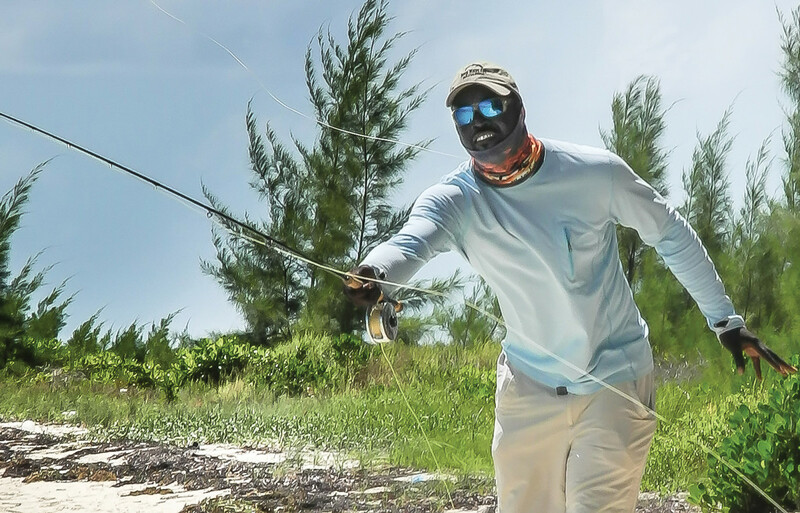 In the Bahamas, North Riding Point Club’s Meko Glinton is one of the code-breakers. 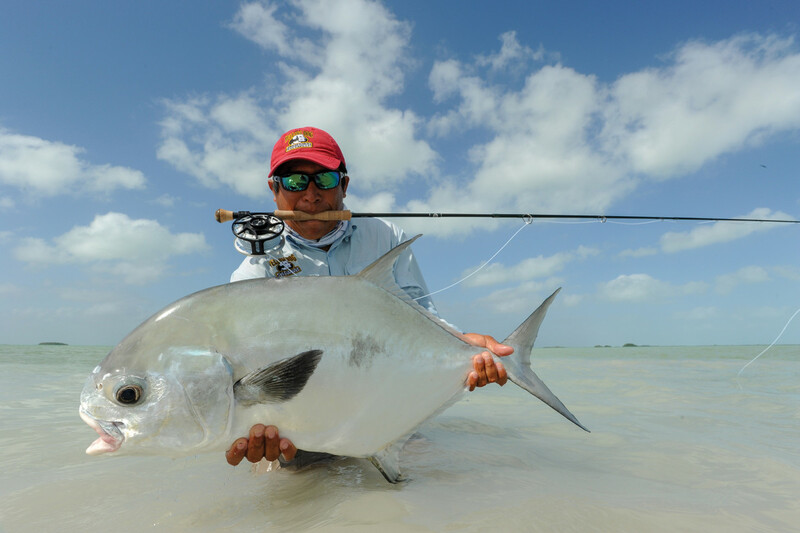 He has turned what was once an anomaly — landing large permit near Grand Bahama’s East End — into a regularity. Meko preaches fewer false casts (two instead of several) to his permit-targeting guests. 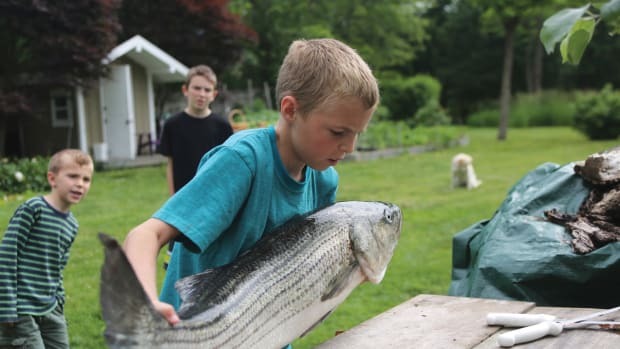 He also asks anglers to come prepared with a proficient backhand cast, which often helps him from having to clock the skiff around for a forehand opening, a boat movement that permit often sense, even if they don’t appear to spook from it. Spook them or catch them, the saying goes. Or another: It’s just a jack. 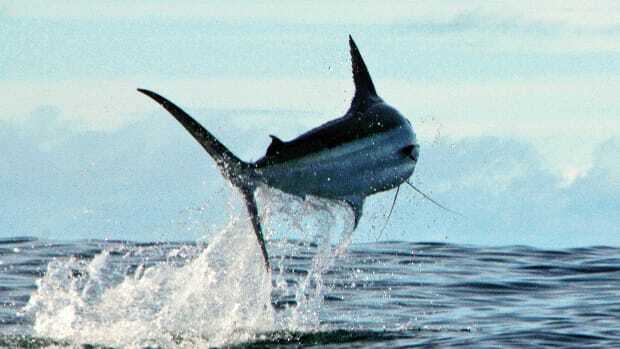 An angling mortal such as myself must take heart in lines like these, or the fact that in Mexico they run a flag up the pole when you land a permit, and the only way that will ever happen is if you haven’t already raised the white one in surrender.